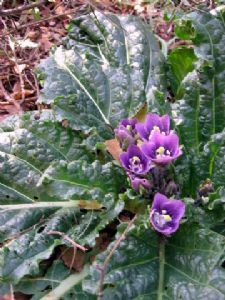 Mandrake is the common name for members of the plant genus Mandragora, particularly the species Mandragora officinarum, belonging to the nightshades family (Solanaceae). Children who have read or seen the Harry Potter films will be familiar with the idea of this plant that is supposed to shriek when it is pulled from the ground. The roots are said to look like a man, hence the name, and many medieval theories abounded about how this plant could produce men without human intervention. It is poisonous and should not be consumed.